Navies of India and France recently took part in a joint exercise aimed at enhancing interoperability between the two navies. Brittany occupies a large peninsula in the northwest of France, lying between the English Channel to the north and the Bay of Biscay to the south. The decision to hold Varuna outside Indian waters was taken as a part of the Indian Task Force's deployment to Europe from May to July 2009. 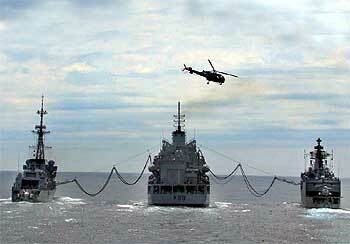 The exercise involved many assets from the two nations. On the Indian side, the task force comprised the destroyer Delhi, the frigates Brahmaputra and Beas, and the replenishment ship Aditya and their integral helicopters. The French contribution comprised assets placed under CECLANT's command (the Admiral Commanding Atlantic Ocean Zone), notably the destroyer Primauguet with a helicopter, the frigate Lieutenant de Vaisseau Le Hanaff and the nuclear-powered attack submarine Emeraude. Several French aircraft also took part in the exercise, including maritime patrol and navy's fighters. 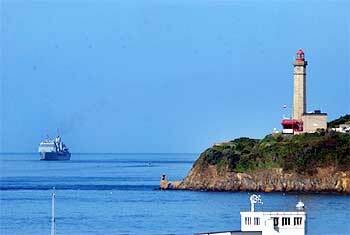 The naval partnership between the two nations is based on a comprehensive defence agreement signed by the Prime Minister Manmohan Singh and French President Nicholas Sarkozy in 2006. India and France both desire to strengthen their naval cooperation, which has already proven to be solid and is not restricted to the Varuna series of exercises alone, as is evident from ongoing activities in the Indian Ocean, where both navies are coordinating on suppression of piracy off the Somalian coast. 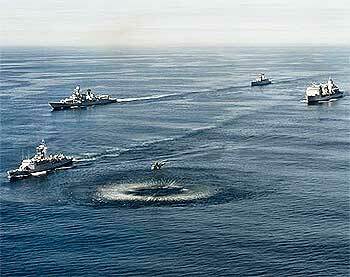 In the same voyage, the Indian Task group also progressed Exercise Konkan, an annual exercise between Indian and Royal Navies, conducted with the aim of building maritime inter-operability and mutual understanding. 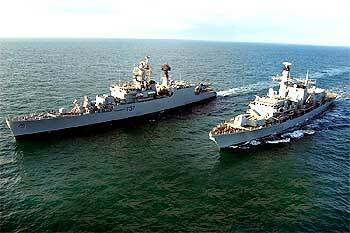 After four such exercises in Indian waters, Konkan 2009 was the first to be conducted in UK waters. UK participants, commanded by Commodore Simon Ancona, include the frigates HMS Westminster and HMS Lancaster, the nuclear powered submarine HMS Trafalgar, the auxiliaries RFA Mounts Bay and RFA Fort Rosalie, RAF aircraft Nimrod, Hawks and Merlins.